I am a political junkie and dealing with the current state of campaigns and the dubious nature of some of those running is just mind numbing. Throughout my colon and breast cancer journey, I’ve sought calm and meditation. 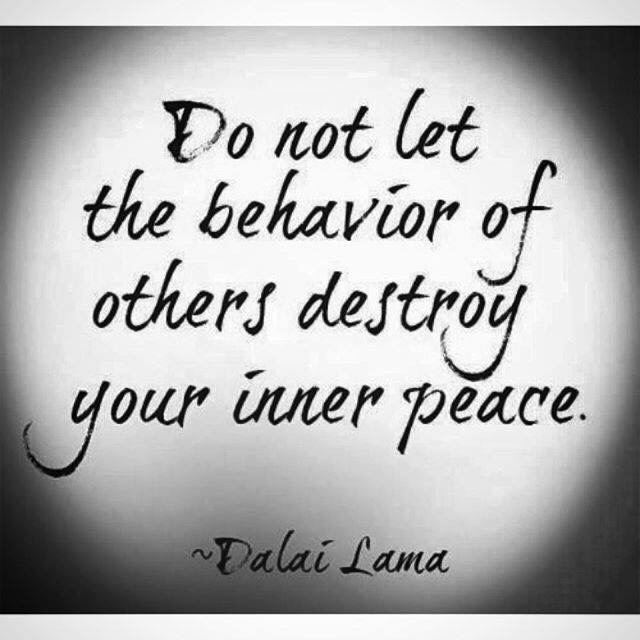 With this quote, I think I’ve found my new mantra – “Do not let the behavior of others destroy your inner peace”.